Siri Says, "Alexa Takes Over Your Life" - Plunkett Research, Ltd.
Apple, Google, Amazon and Microsoft are competing to offer the best voice-activated systems that can do anything from reporting the time and weather, to playing music on request, to performing web searches, to telling jokes, to making purchases from internet sites. There’s much more here than meets the eye (or ear). These platforms utilize the latest in artificial intelligence in order to become more useful over time. Apple’s Siri is available on iPhones, iPads, Apple Watches and through an app in some vehicles. Google Now is an app available on a variety of mobile devices as is Microsoft’s Cortana app. Amazon’s Alexa web app is installed on a gadget called Amazon Echo that sits on a countertop. Google offers a similar device called Google Home. All of these apps and platforms are voice-activated, and use connections to other apps and systems to find information such as directions, time, date, weather and trivia, or make purchases, which are reported audibly (users can choose their device’s voice gender and language). The next step is for these handy assistants to completely control your home, and much of your life, with apps relating to climate control, lighting, appliances, security and much more. This will enable users to simply say, for example, “Set home temperature to 72 degrees,” or “Activate alarm system,” and have the action performed, even from remote locations. Importantly, these systems are open to third-party developers. For example, Amazon has opened “Lex” to developers, which is the artificial intelligence engine behind the Alexa and Echo platforms. Lex is tied into Amazon’s AWS cloud computing system. Software and product developers can incorporate Lex, enabling voice-activated or click-activated responsiveness (often in the form of specific task-oriented icons or apps known as “bots”). This gives these developers instant access to extremely powerful cloud computing, artificial intelligence and voice-activation in one easy-to-launch package. Amazon charges a modest fee per thousand uses or data accesses. Microsoft’s Cortana is being incorporated into applications by companies like Harman Kardon. Apple’s Siri is part of its CarPlay platform, being picked up by major car makers. This ease-of-use has spurred a tidal wave of new product development worldwide, with the potential to revolutionize the manner in which consumers interface with virtually everything. 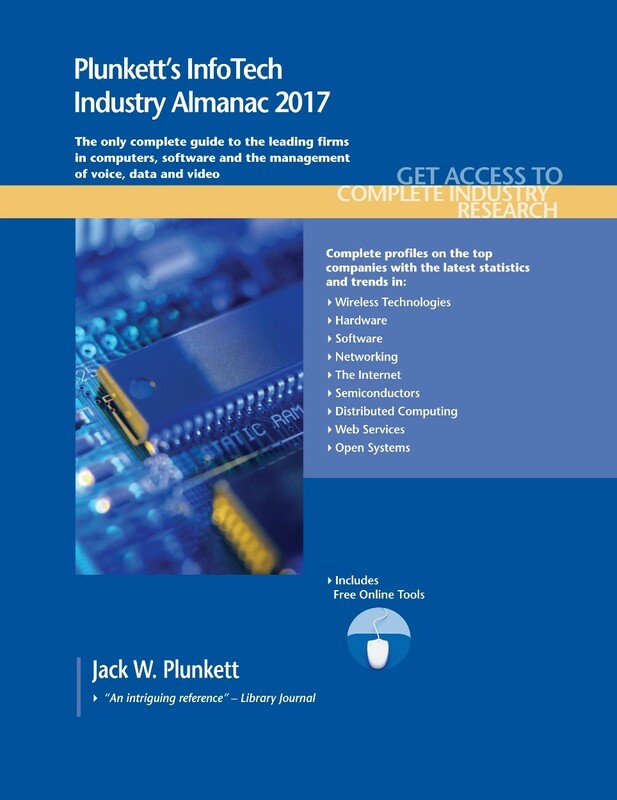 All the information you need about the global InfoTech industry can be found at Plunkett Research, including our computers and software research center online, and our just-published, completely-updated Plunkett’s Infotech Industry Almanac, 2017 edition. This entry was posted in News on February 1, 2017 by NOTadmin.